When your exploring the nature of nature , there is one voice that has influenced so many of us on this journey and that is David Bohm. David is no longer with us in body , but his spirit and imagination live on in all of us as we explore our own personal growth and expansion process. He is regarded as one of the most influential theoretical physicist of our time , and often seen as ” unorthodox” , which of course is why his voice holds so much resonance and fascination for me personally as I love those that are unconventional , and not indoctrinated into the main stream consensus reality. I came across his name when I was exploring the idea of the Holographic Universe and later started listening to some of his videos that are still available on you tube . One of the ways in which the idea that ” Everything is coming in to the present Moment ” is the internet. The internet in a sense acts like a time machine , allowing us to meet people and get to know them even though they are no longer with us in here physicality , the grand dream , we have access to so much information at any moment we choose. One of the main themes of David Bohm’s work was the idea of the implicate and explicate order of the universe where consciousness acts like a receiver of the wave patterns of the implicate order and then translates them into the explicate order , the world we experience . From the perspective of all that is , it really is a kind of feed back loop , there really is no separation of course , it is all happening within consciousness , within each of us. Bohm suggest that when we change our perception , our beliefs , we translate the implicate order accordingly , in other words consciousness creates matter , consciousness is creating reality , consciousness is not the by product of anything , it is everything , matter , experience , all exist with consciousness. 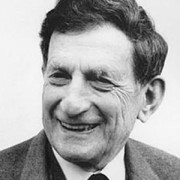 Of course many of today’s physicists still view David Bohm’s work as “Crackpot Theory” which is no surprise considering the source. Modern academia is tied to the purse strings of Universities and other organizations with alphabet titles , all of which seem to be very insecure about anyone or any theory that goes against what is already in place and considered real science ! Which is why his work is so popular with those that are looking deeper , those that are taking a holistic approach to exploring the nature of reality, many of the most fascinating , empowering voices today have no formal education or training , they are simply awake and are able to get information directly from source , skipping the middleman all together , this is where we are headed , where we need to be heading , same things holds true for religion. So it interesting and refreshing to meet a voice that does have a formal academic background yet still was able to transcend the indoctrination process of society, well done David ! Bohm also talked about the brain as being holographic as well , which of course it would be in a Holographic Universe,there are no grandmother cells he said , ” you can’t remove a part of your brain where the memory of your grandmother is stored” , in other words , anything that happens to the brain happens globally , any loss of brain function acts like a loss in resolution , you can still see the whole picture , just not as much detail. Essentially Bohm’s persepctive is that of the mystics , which is , there is no separation , everything “has to be understood as a single undivided whole ” . The more we go through the process of expansion and integration , the more truth , the more resonance we feel in that statement, we no longer see things as separate… people , relationships , material things , events , beliefs are really simply observed and enjoyed and experienced as an aspect of “being” , we are universe , there is no out there, this perspective helps to remove a lot of the pressures of life , we are already “everything ” accomplishments are in a sense illusory. So … while the main stream bought and paid for scientific community spend billions building larger and larger particle accelerators to find smaller and smaller particles , and build larger and larger telescopes to look further and further into the universe , I can simply go within and explore anywhere I like through the process of my own expansion , becasue “I am ” All That Is ” the universe is within me ,meanwhile… they go chasing their tail , like a dog round and round… funny to watch though ! However from a greater perspective , no one voice has all the answers , no one exploration process holds all the keys, each are valid and necessary for all that is to be “All that it Is ” ! So check out the videos below , go to another moment in time , and meet this very fascinating , unorthodox , provocative voice that is David Bohm , we thank him for his work and “being” who is and inspiring all those that are also on the journey towards becoming more of who and what we already are !